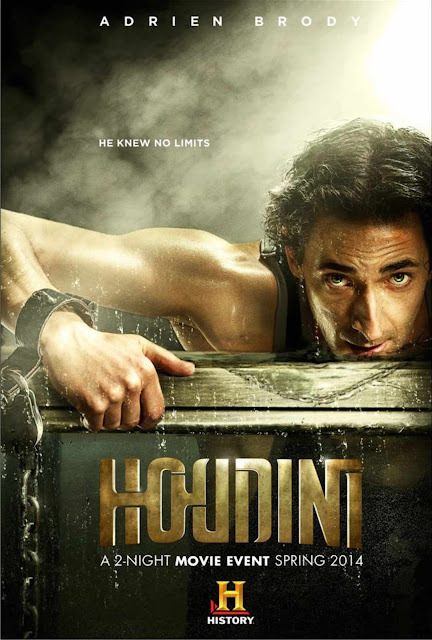 At the risk of bringing on traumatic memories, here are some unused posters that I recently stumbled across for the 2014 Houdini miniseries starring Adrien Brody. These were created Progressive Productions in Hungary. You'll notice that each promote the series as airing in "Spring 2014." It ultimately aired at the end of summer. Progressive also produced the concept poster below. This one did find its way into use online (I first shared it HERE), but it was never an "official" poster. You can see it carries the wrong air date as well. Below is a photo of Brody doing the photo shoot for this poster with Creative Directors Michael Scalere & Steph Sebbag. Progressive was also responsible for the final poster as well as several character stills. 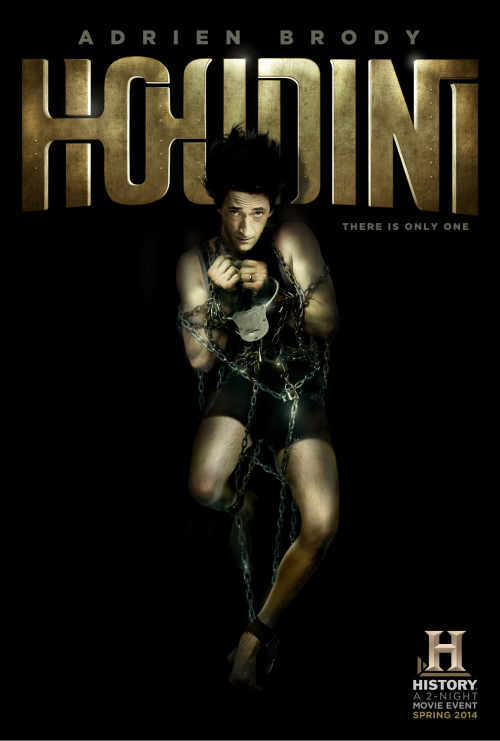 To see all their work on Houdini visit their official website. 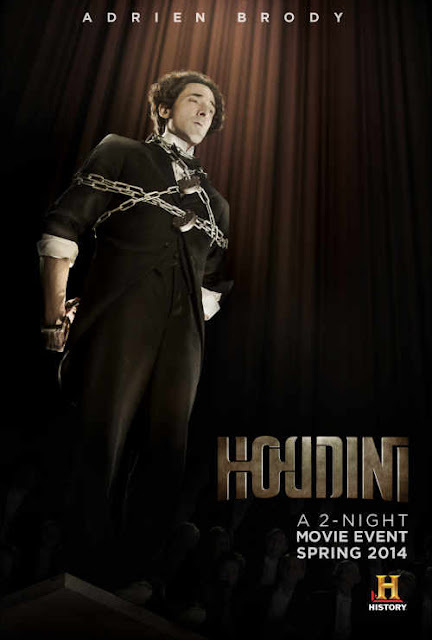 In other Houdini news, noted English actor Tim Pigott-Smith, who played Houdini's (entirely fictional) spymaster "M", passed away last week at age 70. You can read his obituary at TV.BT. Also, the photo shoot pic is interesting. It looks like they just shot Brody leaning over a wooden pole. Then later photo composited a WTC and manacle. And photoshopped water, steam, etc. Pretty cool before and after. Yeah, that third poster is pretty good. When the miniseries was in production the vanishing elephant was used as the iconic image on call sheets and the script, etc. I kinda liked the idea of building a campaign that had more a magic edge than the same old chains and water. But they went with chains and water.